Iconic rock bands are in demand more than ever and are commanding ticket prices at least as expensive as the hottest current artists. Five of the top 10 bands with the most expensive average concert ticket prices in 2013 were older bands. According to TiqIQ, classic rock bands such as The Rolling Stones, The Eagles and Fleetwood Mac commanded ticket prices ranging from $624 to $241 in 2013. Among these aging artists, fans paid the most to see The Rolling Stones and the least to see one of the last remaining Beatles, Sir Paul McCartney. The remaining artists with the highest ticket prices were relatively newer artists, such as Justin Timberlake and One Direction. Seeing these performers live on stage last year would have set a fan back some $241 to $461. Six of the top 10 performers were also among the richest in 2013, in terms of gross revenue, according to Forbes. Three of the top five newer bands released top-selling albums in 2013, and also had three top songs that year. These are America’s most expensive concert tickets. The 71-year-old Sir Paul McCartney is still able to leverage the popularity of The Beatles — the best-selling band of all time — as well as his successful solo career. While not officially on tour, McCartney’s live gigs in 2013 commanded an average ticket price of $241. He was also 12th on Forbes’ list of highest-paid musicians in 2013, raking in $47 million. While some may not consider McCartney’s post-Beatles work reflective of his influence, Wings and his other solo projects were also incredibly successful. Pink is still riding the success of her most recent album, “The Truth About Love,” released in September 2012. Her song, “Just Give Me a Reason,” was the fourth most downloaded song on iTunes in 2013. Pink, whose real name is Alecia Beth Moore, sold out numerous venues last year, and another tour is being planned for this year. The average concert ticket price for Pink was $270. Fleetwood Mac’s appeal has spanned generations, and it showed in 2013. The average concert ticket price for the band was $282, making it the eighth most expensive concert ticket. Fleetwood Mac is tied with Neil Diamond as the 24th best-selling band of all time, with 48.5 million record sales. Last year, Fleetwood Mac’s tour grossed $62 million, according to Billboard, prompting the group to announce plans to tour in 2014 as well. Beyonce’s latest album, “Beyonce,” did not make the top-selling albums list in 2013 because it was released too late in the year. It did, however, manage to shatter iTunes records with over 800,000 downloads in three days. Fans are lining up to see the former Destiny’s Child star on her current world tour and are willing to shell out top dollar. The average cost of one of Beyonce’s concert tickets is $294, the seventh most expensive. Beyonce was also the ninth top-earning musician according to Forbes, making $53 million last year. People are still willing to pay top dollar to see Roger Waters, co-founder of the legendary rock band Pink Floyd. Many of the concerts on Waters’ 2013 world tour, “The Wall Live,” were sold out, as the tour may be his last. The average ticket price to see Waters was $314, the sixth most expensive ticket on the list. The 70-year old rock star was also the 15th highest-paid musician in 2013, according to Forbes, with $44 million. His former band, Pink Floyd, is still the eighth most popular band of all time, with 74.5 million record sales. The sometimes controversial Waters is also in the midst of prepping his first album since 2005. Despite a seven year gap between albums, Justin Timberlake is still one of the most popular artists in entertainment. After the huge popularity of “Justified,” his 2002 solo debut, and his 2006 hit record “FutureSex/LoveSounds,” Timberlake put his musical career on hold. Fans, however, missed him dearly. 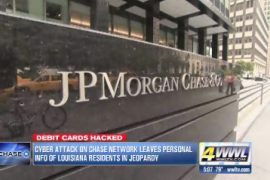 His album, 20/20 Experience, was the best-selling album in 2013, according to Billboard, and the fourth most illegally downloaded album on the Web. Fans don’t seem to mind the average $339 concert ticket price, as his 20/20 Experience World Tour has sold out in many cities. Despite breaking up and reuniting on several occasions, the Eagles have stood the test of time since releasing their first album, “Eagles,” in 1972. Selling roughly 100 million records since then, the Eagles are the most popular American band of all time, in terms of record sales. They are still filling stadiums and arenas. With classic songs such as “Hotel California,” “Desperado” and “Tequila Sunrise,” the Eagles’ current world tour is going strong. The average concert ticket cost is $279, down from $354 last year. High-school garage bands can look to Maroon 5 for inspiration. After starting out in high school in 1994 as “Kara’s Flowers,” Maroon 5 is now one of the most popular pop rock bands in the U.S. The band’s latest album, “Overexposed,” was the 21st best-selling album in 2013. Last year, the band recorded three top 10 hits. The band’s $364 average concert ticket price in 2013 was third highest. One Direction’s music video, “What Makes You Beautiful,” generated 12.5 million views in 24 hours on Vevo’s music video Web site, which ranked second all-time on the video site. Last year, the band’s album “Midnight Memories” was the top-selling album in the U.K. One Direction’s popularity has paid off. In 2013, the band earned $42 million, and its members were the 20th highest-paid musicians, according to Forbes. Fans hunting for tickets to see One Direction in its upcoming “Where We Are” world tour can expect to pay $275 per ticket, down from $460 last year. Since coming onto the scene a half-century ago, the appeal of the seemingly ageless Rolling Stones keeps growing stronger. With nearly 67 million records sold, the Stones are the 13th best-selling band of all time — and members show no signs of slowing down. The band’s average concert ticket price was $624, making it the most expensive band to see live, according to TiqIQ. 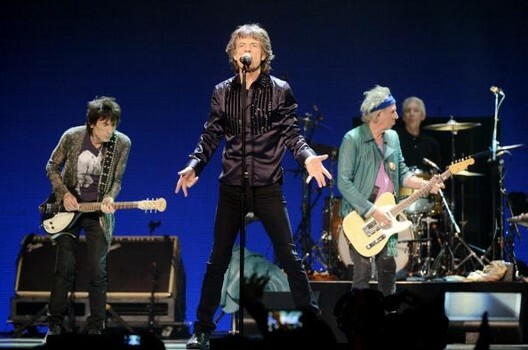 The Stones raked in $39 million in 2013, according to Forbes, making it the 23rd highest-paid band that year. Tickets to most of the band’s scheduled shows for this year are sold out. 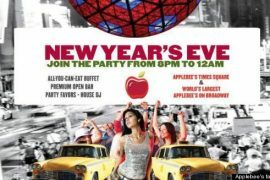 Will Applebee’s Expensive New Year’s Eve Party Be a Hit?